From his last name, you can probably guess that he wasn’t of Italian or Spanish background. Born in Cádiz in 1866, Christophersen’s father was Norwegian & sent young Alejandro to Norway for university studies. He furthered his education in Brussels & Paris. Becoming a member of a prominent BsAs studio in 1888, Christophersen gathered enough clientele & clout to open his own office the following year. He spent three years in the province of Santa Fe but returned to BA in 1901 to become VicePres of the Sociedad Central de Arquitectos. At the same time, he created the School of Architecture as part of the University of Buenos Aires (no small accomplishment). Over the next two decades, Christophersen reigned over Argentine construction & design mixed with brief periods in Paris where he studied painting. In 1930, he assumed directorship of the National Mortgage Bank but continued to work as an architect as well. 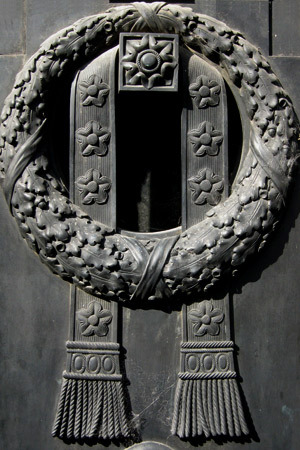 Cristophersen died in 1946 in Buenos Aires leaving a legacy of 8 banks, 52 hotels/apartment buildings, 10 chapels/churches, 1 hospital, & 5 commercial buildings in Argentina. He’s widely regarded as the grandfather of Buenos Aires architecture. 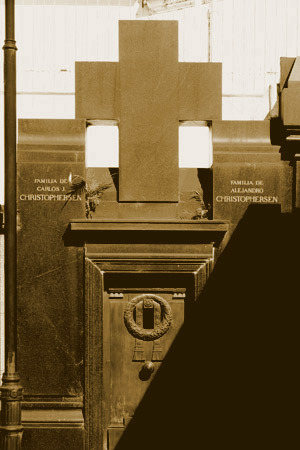 For a look at some of Christophersen’s more important works, this post on our sister site Endless Mile discusses Christophersen’s legacy in Buenos Aires in detail.